Check or PayPal payment upon receipt. Are You Ready to Sell Your College Textbooks? Selling your used college books can be stressful. At the start of each semester, you invest time, money, and effort into finding your new books. This sometimes ends with scouring the Internet for obscure titles or paying vastly inflated prices at the school bookstore. You then proceed to use your new books all semester while trying to keep them in good enough condition for resale. With that in mind, it’s no wonder that selling your books at the end of the semester can be a taxing experience. We want to make your life as easy as possible, so we’ve put together a guide to selling your books. We cover how to keep them in good condition, when to sell them, where to sell them, and ultimately, how to sell them. Keep the pages clean. Avoid highlighting and underlining. It stands out to book buyers and gives a clear indication that the textbook has been used. Additionally, you can print out scanned copies of your textbook’s practice tests. Rather than writing in the book, you can mark up the printed pages as much as you want — and it also feels more like taking a real test. Don’t fold down the corners of your pages. Instead, use sticky notes or flags to mark specific paragraphs. This will not only keep your book in better condition, it will make finding your marked pages even easier. If your textbook came with a CD or DVD, make sure you keep it with the book. Buyers often won’t purchase books if they’re missing one of the components. Knowing when to sell your books is another key element to consider. Sell your textbooks when you’re done using them. Don’t wait too long, as different editions can be published, lowering the worth of your book. Research shows that the best time to sell your books is early- to mid-January. When students are buying, it’s the ideal time to be selling. School bookstores often only purchase textbooks at the end of the semester. Alternately, with Cash4Books, you can sell your textbooks year-round! Here are three of the best ways to sell your college textbooks. We’ll give you the pros and cons of each one and provide recommendations. On most college campuses across the nation, students can buy and sell textbooks at their local school bookstore. 20 years ago, school bookstores were the main vendors of college textbooks, and students didn’t have a choice when selling books back at the end of the semester. Now, students have options! 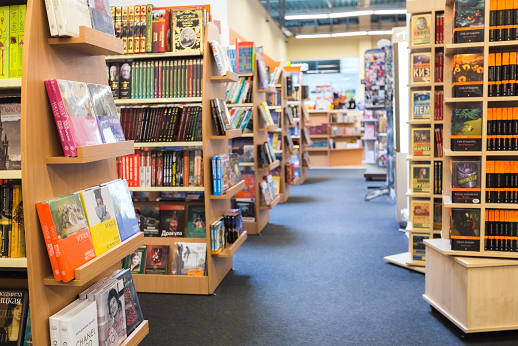 When selling to the school bookstore, students get the immediate satisfaction of selling their books and receiving money instantly transferred to their student account or given to them in cash. Bookstores get to set their own prices, so the amount you make while selling your college textbooks is much lower than online prices. Less cash isn’t good for anyone. Lines for the textbook buyback at the bookstore get long. With only several bookstore employees and hundreds of students, physically getting to the front of the line to sell your books can be a challenge — not to mention time-consuming. Students can’t check the prices of their books before standing in long lines. Bookstores can’t buy back every book they’ve sold. Just because you purchased your college textbooks from the bookstore doesn’t mean you can sell them back at the end of the semester. Another way to sell your college textbooks is through a referral site like BookScouter. These sites compare prices from multiple book buyers and give you a quote on what each site will pay. Referral sites allow you to compare prices between different book buyback companies so you can try to make the most money in the end. Referral sites often don’t have immediately updated prices, and each price quote is not guaranteed or locked in until students click through to individual company sites. Apart from the price quote, referral sites don’t give any information about individual companies, such as mailing costs, time to payment, or customer service availability. Additionally, referral sites can pull quotes from competitors offering gift certificates instead of cash. Another way to sell your books is directly to us here at Cash4Books. We’re constantly striving to make your book-selling experience as easy as possible. When you sell your textbooks to Cash4Books, it’s easy to get an instant price quote. Just input your college textbook ISBN and we’ll give you a quote. If you have any questions or concerns when selling your college books, our customer care team is here for you every step of the way — whether by phone, email, or social media. Fast payment is another key benefit of selling directly to us here at Cash4Books. When we get your books, we’ll send you your cash within 24 hours! When you sell us your books, you ship them to us for free! You already paid money to get your books, so you shouldn’t have to pay to sell them, too. Our mobile app allows you to get college book price quotes on the go. If you’re in the school bookstore buyback line, try checking with Cash4Books before you sell. We’re a family-owned company, and aren’t as big as companies like Amazon. Sometimes we aren’t able to purchase every book. If that’s the case, just enter your email. We’ll let you know if we’re able to purchase your book in the future. You can sell your books to us in just three easy steps. Step 1: Get your books together and input their ISBNs on our homepage. We’ll give you an instant price quote. Step 2: Print out our free shipping label and put your books in the mail. Step 3: Get your cash! When we get your books, we’ll send you your money within a day. It’s that easy! You now know how to sell your college textbooks. Are you ready to make some money? Head to our homepage.